This car marks a step forward and defies convention by delivering an excellent driving experience and superb handling with outstanding fuel consumption (68.9 mpg combined) and low CO2 emissions (just 107 g/km). 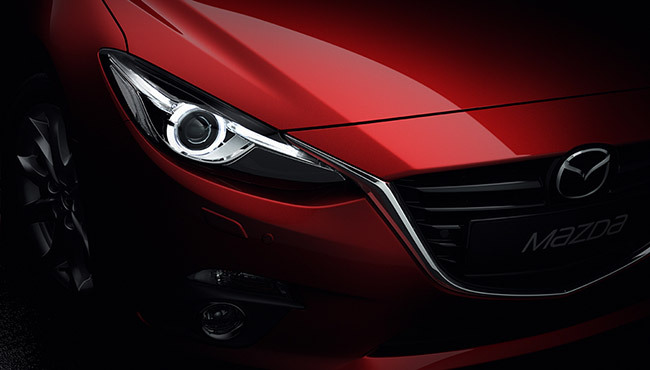 The SKYACTIV-BODY structure is lightweight and strong, enhancing the car's performance and safety. The shark fin antenna and the rear spoiler incorporate the sporty style. 16" alloy wheels are standard on SE and SE-L models, whilst the Sport model features stylish 18" alloys. The SE-L and Sport Nav models also feature the winged grille that seamlessly connects with the Bi-Xenon headlights. Internet connectivity is available through a connected smartphone, taking driving entertainment to a new level. 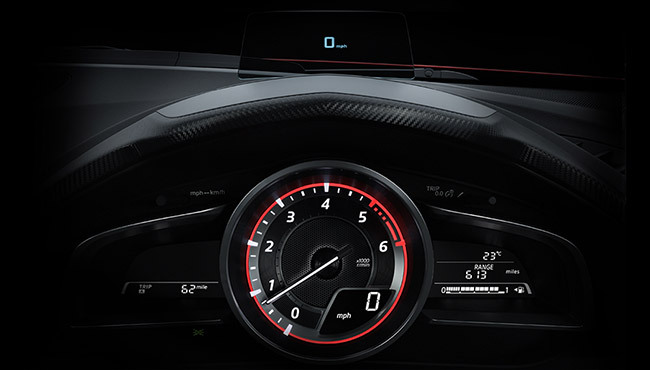 The new Active Driving Display provides essential driving information on a glass screen above the dash. The car features audio and navigation display on top of the instrument panel as well as sporty seats. The spacious driving environment, thanks to the lower dashboard, encourages a relaxing drive. 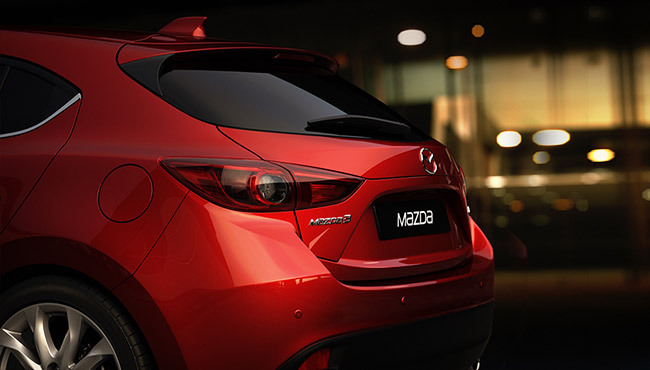 The new Mazda3 is available with a petrol or diesel engine, and award-winning SKYACTIV Technology. The newly developed 100ps SKYACTIV-G petrol engine is light and compact, providing significantly better fuel efficiency than previous small capacity engines. 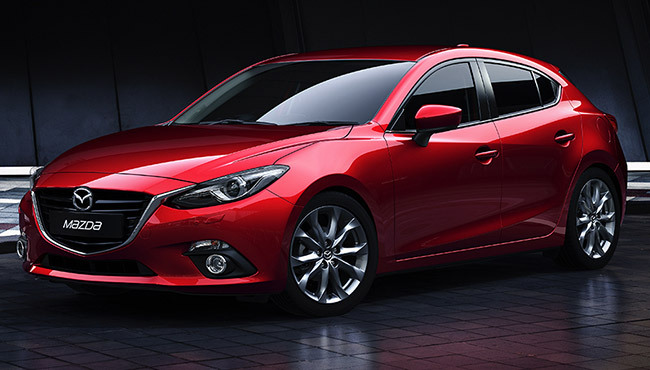 The 120ps and 165ps SKYACTIV-G direct-injection petrol engines deliver excellent fuel economy and performance. The 150ps SKYACTIV-D provides fast acceleration to challenge conventional diesel engines, while still meeting Euro 6 emission standards. 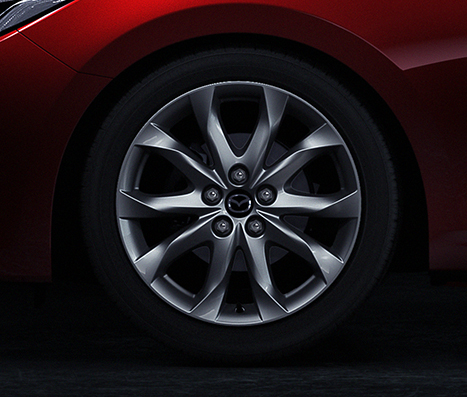 Experience the new Mazda3 at one of our dealerships in Aberdeen, Glasgow, Kirkcaldy, Liverpool or Stirling today.